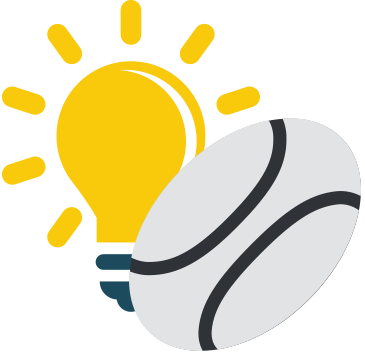 The birth of the game of rugby is an interesting one: a William Webb Ellis, a 16-year old student at the Rugby school located in Warwickshire, in England, picked up the ball and started running while playing a game of soccer in 1823. The idea interested many, and, after this, official rules were eventually created, and the sport eventually divided into two codes, Rugby Union and Rugby League, and today we enjoy the modernised versions of each. There is a wide variety of betting markets available for both these rugby codes, alongside a number of international competitions like the Six Nations and World Cups. You can enjoy domestic European, Australian and New Zealand leagues as well as continental club contests like the European Rugby Challenge and the European Rugby Champion Cups. The popularity of Rugby League is less prevalent across Europe and is more intense in the northern areas of England and France. The Super League and Championship are the main contests in England, and the French equivalents are the Elite One and Elite Two Championships. Rugby League is also very popular Down Under, with Australia’s National Rugby League, or NRL, and the Super Premiership New South Wales being the two most well-known competitions. The Rugby League World Cup, European Championship, and Four Nations are the highest level international contests in Rugby League, and live sports betting hits a high note whenever these are happening. The Money Line bet is your guess about which team you think will end up winning the match. This bet is exactly the same for both Rugby Union and Rugby League games, and is one of the most straightforward ways to wager. The Handicap wager is considered a step up from the Money Line, and is recommended to punters who have mastered the latter. This bet offers more value, and the Handicap refers to the advantage the bookmaker has accorded to one team in order to make the competition more balanced. The team that has been assigned a negative Handicap will need to win by more points than the figure set out by the bookmaker in order for a wager made on them to win. The team assigned a positive Handicap must win the game, draw, or lose by less than the figure set by the bookmaker in order for a bet placed on them to win to do so. Totals rugby betting requires you to wager on the total amount of points that will end up being scored in a match. The bookmaker will determine this figure, and you can either wager on the amount of points to be over or under the figure set, which is why this bet is also sometimes referred to as an Over/Under wager.